Our Workshop has a keen team that are very happy to customize your pet’s home to suit your needs. Custom sizes welcome. We are a family run business that build dog kennels for sale in and around Cape Town, or for order and delivery further afield upon request. Our Standardised sized enable us to build affordable dog kennels, but if you wish to order a custom size we are more than happy to accommodate and keep our prices very reasonable. 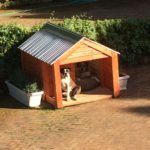 Our Kennels are all treated against bad weather and decay, and a clear corrugated roof allows light into the kennel for your pet to have a light home. The kennels stand on small feet which may be re-enforced for a heavier dog. This raises the kennel off the ground and prevents mould and decay. A simple mat inside the kennel will ensure your pet will have a warm place to sleep in the winter. 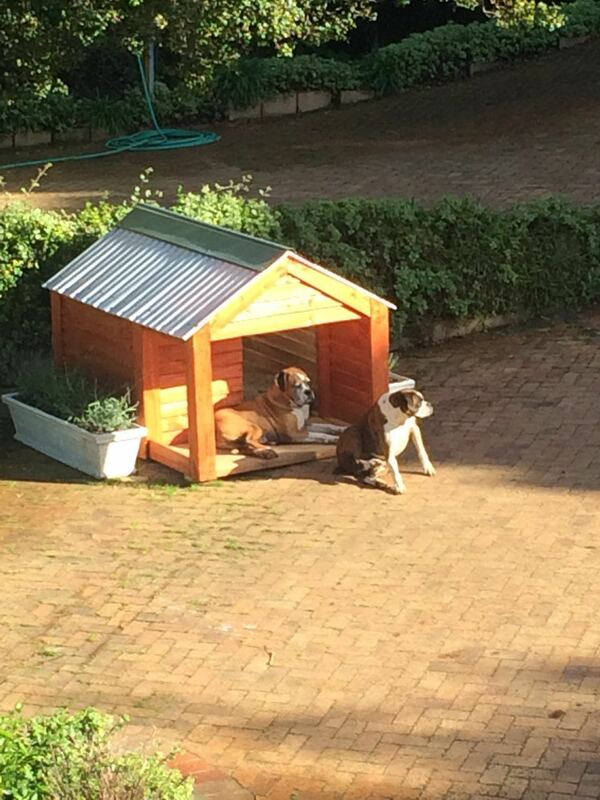 Place your kennel in the shade and the summers will be airy and cool. We hope you have enjoyed browsing our website content and look forward to doing business with you. We also customize our dog kennels for blind dogs by removing the front panel so the entire front of the kennel is open for the dog to have easy access to the kennel. The kennels with the porch are our more popular kennels and are in demand. These are considered as customized. We will customize the kennel with the porch based on your specifications. Delivery of large kennels are strictly to the outside of your property. We will not assist in carrying kennels over fences, walls, gates and via neighboring properties. Kindly place the order and request for an on-site assembling at an additional cost. Delivery can be arranged at an additional cost based on the area. 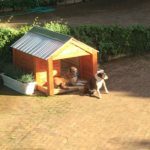 We can do bulk orders for Dog Kennels for Sale anywhere in the Western Cape, Cape Town, Constantia, the Atlantic Seaboard and More. Hi Rasheedah, what a pleasure to meet you and your hubby. You are a lovely lady and I wish you success in your business venture. 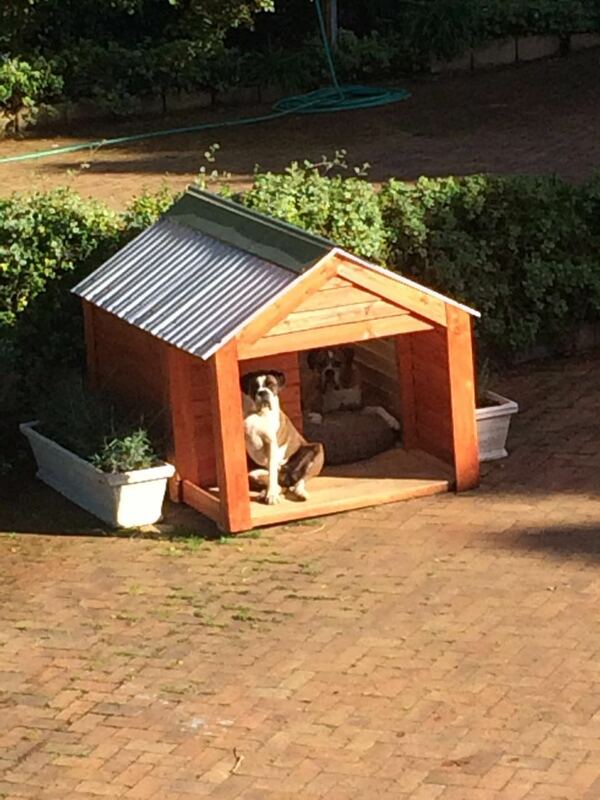 I am most pleased with the kennel. Have a beautiful day. Take care. Simone. Designed by The First Step.